​61 years of age or over, or persons with a qualifying disability. This property offers subsidy for 27 out of 37 units through the USDA Rental Assistance Program. Within this program you will only pay 30% of your adjusted gross income for rent. Non-subsidized units have a base rent that you will pay. Cambridge Cove Apartments offers 37 units for seniors 61 or older, or qualifying persons with a disability. This property does not allow smoking in units. Great location close to shopping, medical care and on the bus route. 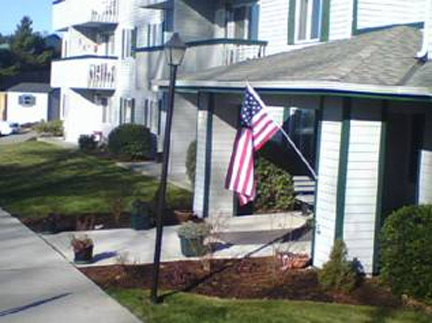 Located in beautiful Oak Harbor. Three story building with elevator, on site laundry and community room. Background screenings required. Always taking applications! USDA Income limits- up to moderate income limits. Please see charts for details. Rent Detail: This property offers subsidy for 27 out of 36 units through the USDA Rental Assistance program. Within this program you will only pay 30% of your income for rent. Non-subsidized units have a base rent that you will pay. Please call property for details. We accept Housing Authority provided Section 8 vouchers for our non-subsidized units.